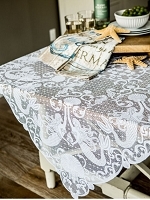 Accent a table or dresser top with a floret lace runner. 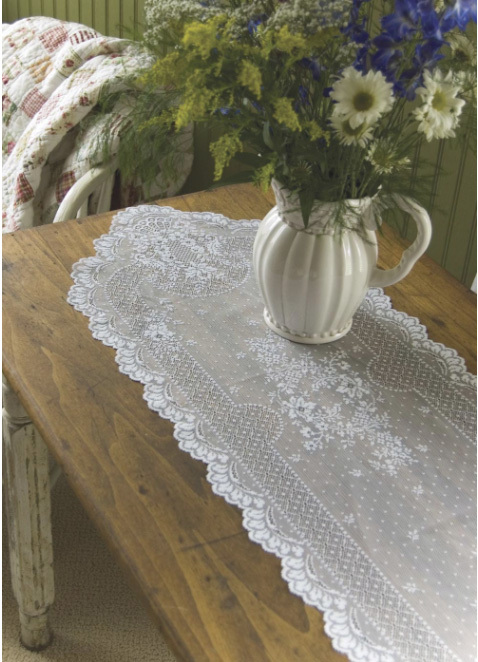 Dainty flowers and twining vines set against a sheer and simple point d'esprit lace background with cut lace edge. Choice of ecru or white. 3 sizes available.